O.M.B. Demolition Enterprises put their excellent knowledge of explosive matter to use in the spaceflight business in the form of decouplers, which separate rocket stages in a more or less explosive manner. They also produce stack multi-couplers used for explosion-free branching of rocket stacks, at least until the stacks themselves explode. They also produce heat shields. Pages in category "O.M.B. 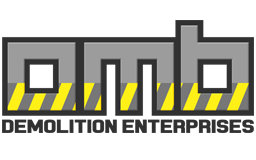 Demolition Enterprises"
This page was last edited on 3 September 2018, at 21:50.